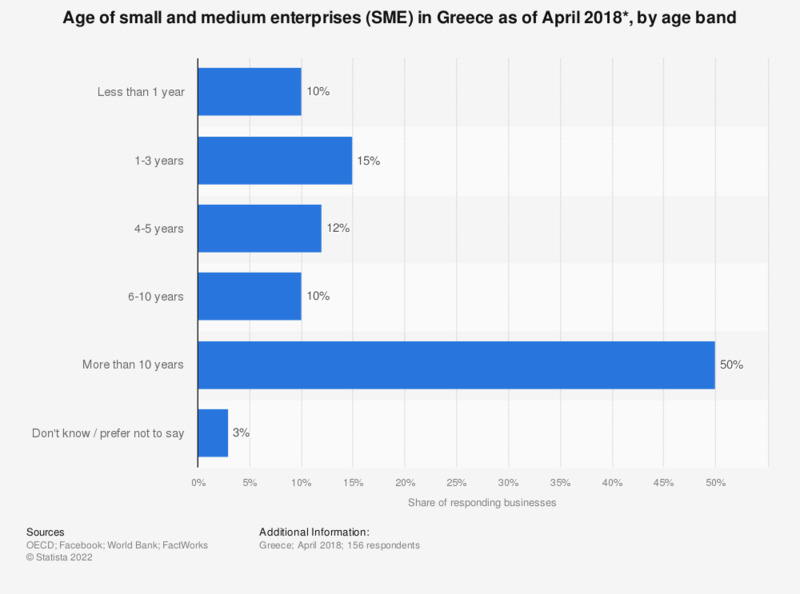 This statistic shows the age of the small and medium enterprises (SMEs) in Greece fas of April 2018. From the respondents, 15 percent of the SMEs were between one and three years old. * Source question: How old is your company?